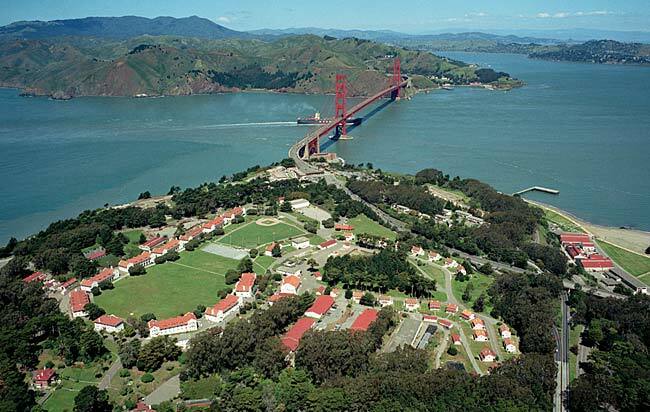 The Presidio is a former military installation, now a gorgeous park with miles of trails for walking and running. There are hills, wooded trails, and scenic vistas out to the Golden Gate Bridge and the Pacific Ocean. 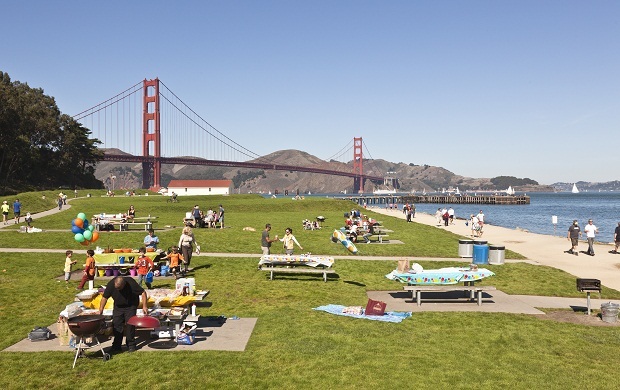 It is also a connector between the Marina and Pacific Heights neighborhoods, Crissy Field, and the Golden Gate Bridge and recreation area. It’s also a great place to access from “motel row” along Lombard St. Close to Lombard Gate is the Letterman Digital Arts Center and designed by noted architect Lawrence Halprin, Walt Disney Family Museum, the National Cemetery, Mountain Lake, and golf course. We’ve designed a ~5 mile route consisting of a combination roads and trails (Promenade Trail, Park Trail, Mountain Lake, Lover’s Lane), but of course you can design your own route and incorporate other fantastic running options in the area. 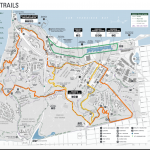 The National Park Service map shows several great trails of various length. The Presidio’s paths and roads are well waymarked, with good maps and distances to key locations. 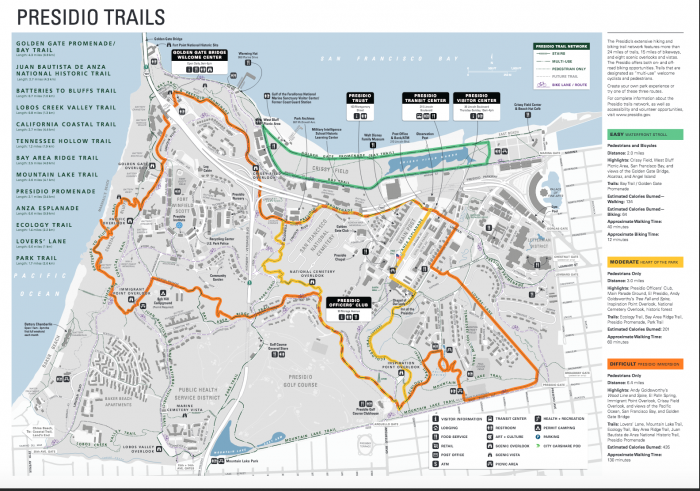 One great loop is to take the Presidio Promenade Trail to the Golden Gate Bridge, then loop back along Crissy Field.